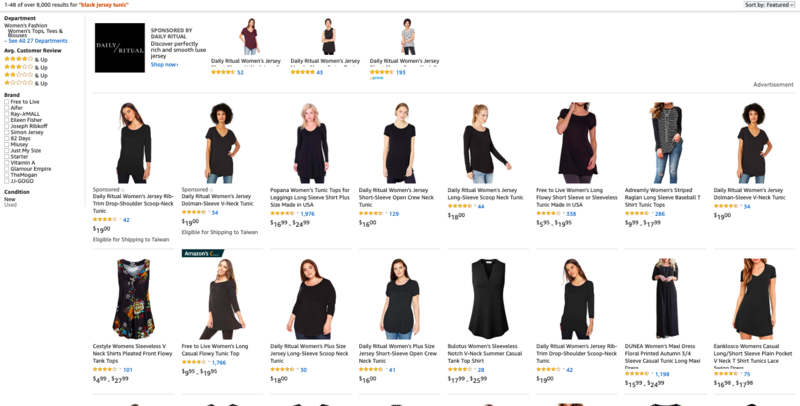 Amazon’s aggressive marketing of its own private brands, with ads that often appear in search results above listings for competing items from third-party sellers, have raised antitrust concerns. The company’s increasingly strong grip on the U.S. retail market has been under scrutiny for years, but pressure intensified last month when Massachusetts senator and Democratic presidential primary candidate Elizabeth Warren announced that breaking up tech giants Amazon, Google and Facebook (and other companies with an annual global revenue above $25 billion that provide marketplace, exchange or third-party connectivity as “platform utilities”) in order to reduce their economic dominance will be a major part of her platform. This means that Amazon Marketplace and Basics would be split apart, and acquisitions including Whole Foods and Zappos would be spun out. While Amazon benefits from higher margins, cost-savings from a more efficient supply chain and new data, third-party sellers often suffer. For example, they may have to cut prices to stay competitive, and even lower prices may not be enough to attract customers away from Amazon’s promotions for its own items, which show up in many search results.